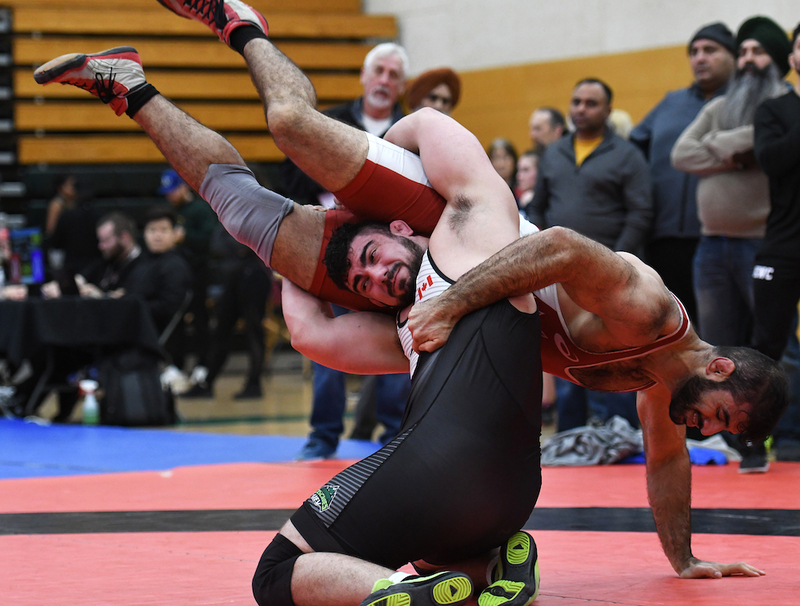 Yet come Friday, as the Fraser Valley Cascades begin a two-day run as hosts of the Canada West wrestling championships, the former national team standout, quite comically, is having a hard time defending that notion. It’s a story which began in mid-November when the school elected to make an 11th-hour coaching change with its wrestling program and thus opened the search for an immediate interim successor. 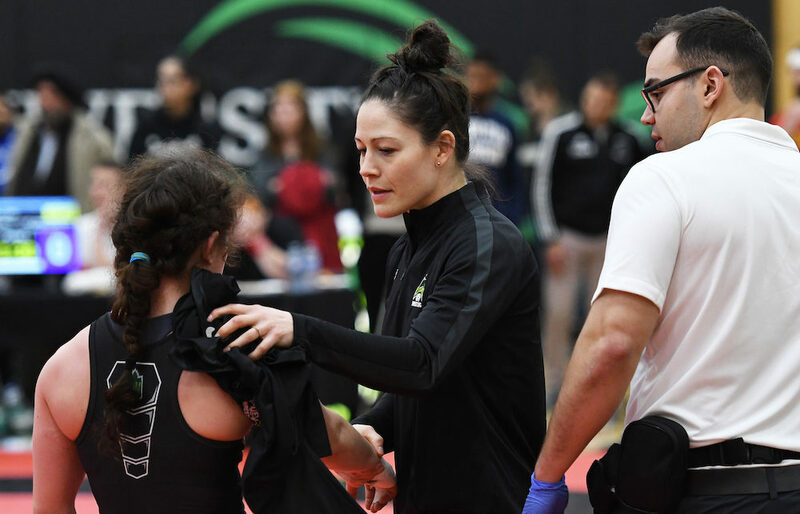 Before too long, however, before they discovered that a world-class grappler some three years removed from the 2015 Canadian Olympic team trials was already in their employ as the school’s athletics facilities coordinator. Cascades’ athletic director Steve Tuckwood asked her to consider stepping into the emergency relief role, and after sleeping on it, Anaka agreed to come aboard until the end of the season. So these day, instead of taking part in those training sessions, Anaka has been leading them. And despite being a rookie coach, she’s been on point, guiding both the men’s and women’s programs into the national Top 10. Leading the way this weekend for a men’s program ranked No. 4 nationally will be Brad Hildenbrandt (120 kg), the two-time defending Canada West and U SPORTS national champion. Reigning U Sports rookie of the year Parker McBride was also a gold-medal performance at 54 kg at the nationals. The No. 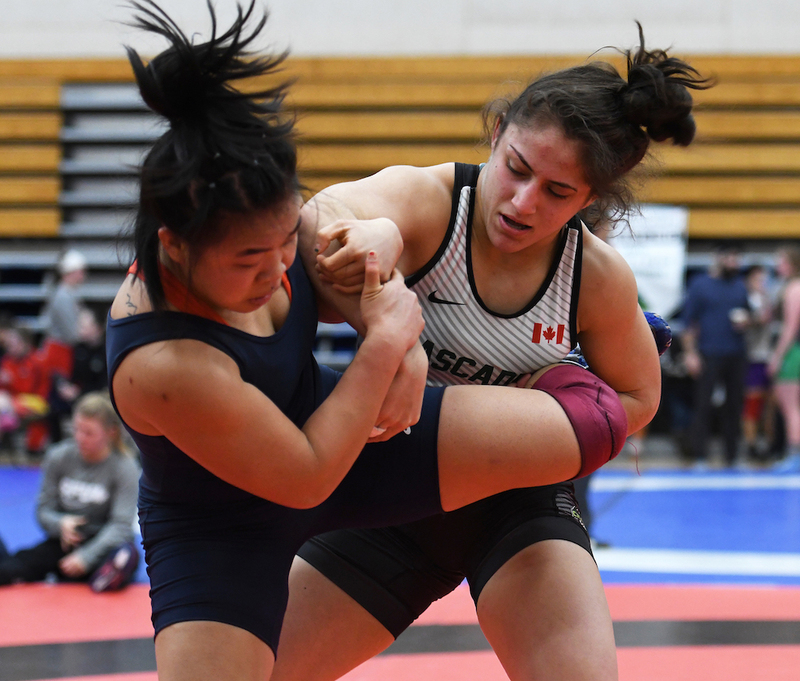 7-ranked women’s team also comes in highly-decorated with reigning Canada West rookie of the year Ana Godinez Gonzalez, who last season forged gold at 63 kg in the conference championships and later silver at the U SPORTS nationals. Tuckwood has watched from afar as Anaka has stepped into the breach, and everything he’s seen has him convinced that she has gleaned extensively from her mentors. 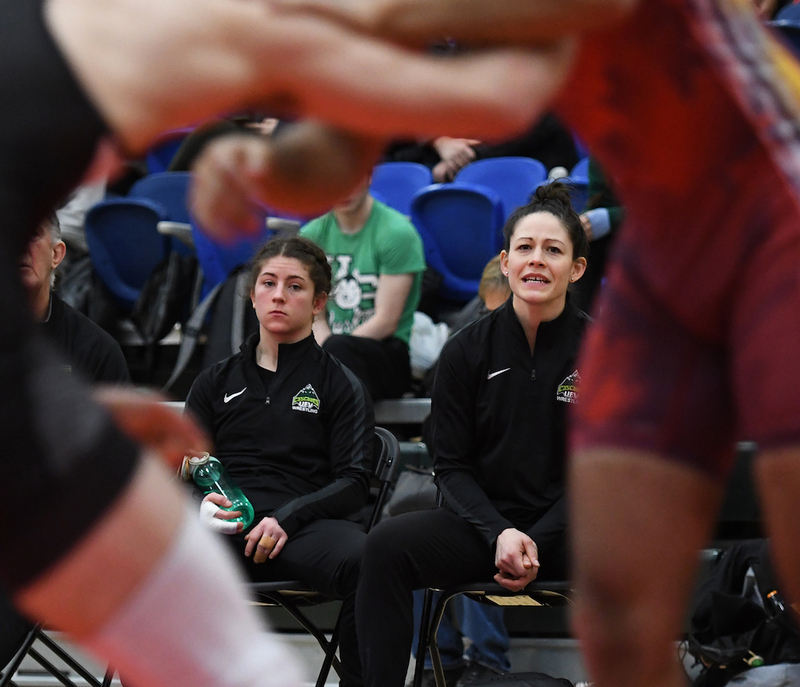 Ask Anaka about precisely that, and she harkens back to her days at Simon Fraser University where former Clan head coach Mike Jones built a dynastic program that was considered among the very best in all of North American collegiate wrestling. Through it all, Anaka has certainly not gone through the motions at UFV. Not only has she taken on the head coaching position with the wrestling team, she has continued to work as the school’s facilities operations coordinator for both varsity athletics and campus rec. And while there is nothing firm on both sides regarding her future with Cascades wrestling, rest assured that a part of her always seemed open to exploring the world of coaching. In fact after she came up short in her bid to earn a spot on the Canadian team at the 2016 Rio Summer Olympic Games, Anaka knew it was time to jump on a plane and just get away from her world for a while. So she arranged to meet up with a friend, three-time Canadian Olympic medal-winning wrestler Tonya Verbeek, at what else but a two-week wrestling camp in Thailand. Anaka had also briefly filled in during her Simon Fraser days when head coach Jones had taken ill, and thus when Tuckwood asked her to come aboard for the season, there was at the very least, a hazy starting point. Still, it’s been a 10-week whirlwind to get to Friday. The four school, dual-meet format event begins Friday with the women opening at 7 p.m., followed by the men at 8 p.m. Match-ups are UFV vs. Calgary, and Alberta vs. Saskatchewan. On Saturday, Round two features an 11 a.m. start for women and a 12 p.m. start for men as UFV meets Saskatchewan and Alberta squares off against Calgary. The third and final round takes place later in the day with a 2 p.m.start for women, followed by a 3 p.m. start for men. UFV meets Alberta, while Saskatchewan clashes with Calgary.